This week we'll be looking at five decisions the Dallas Cowboys made in the 2017 offseason that, in hindsight, they may now regret. These moves, or non-moves, are ones that have clearly helped cause the team to struggle this year. Dallas currently sits at 6-6 and only has a slim chance of still making the playoffs. The first area we'll look at is the heart and soul of this Cowboys team, its offensive line. The Cowboys had two big changes in the starting lineup from the retirement of right tackle Doug Free and the departure of left guard Ronald Leary in free agency. 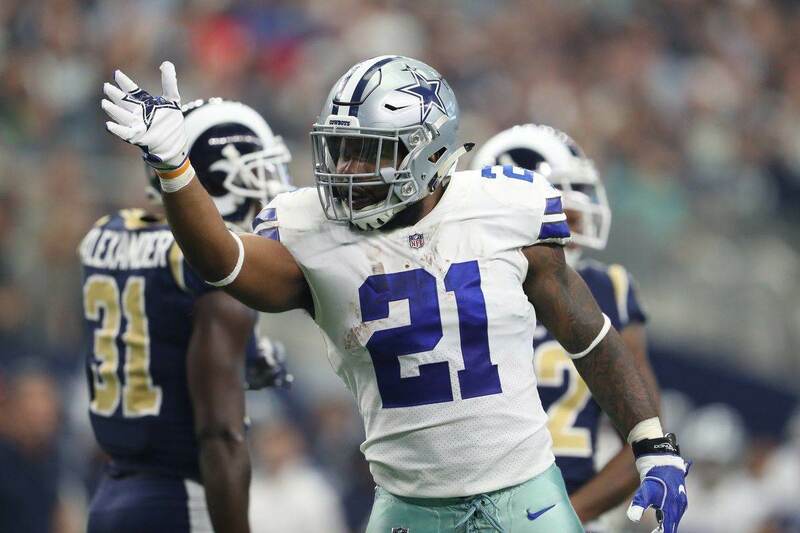 They did not add any new talent and instead looked to returning players such as La'el Collins, Jonathan Cooper, and Chaz Green to fill the gaps. Were the Cowboys right to let Leary go? Did they do enough to replace their lost starters? How much did these changes impact the season? Should Dallas Have Kept Ronald Leary? Leary, who turned 28 in April, signed a four-year deal with the Denver Broncos for $36 million. It averages at about a $8-9 million cap hit each year. The guaranteed money was front-loaded in the contract, leaving an easy out in 2019 with only $1.75 million in dead money left. The logic of letting Leary go so that La'el Collins could take over at guard made sense to me. Collins projected as a future stud at guard with his mix of athleticism and power. However, Doug Free's retirement pulled Collins over to tackle and left LG uncertain. The timeline here is important. Ron Leary signed with Denver on March 9th and Free didn't announce his retirement until March 11th. However, rumors that Doug was considering retirement started back at the NFL Scouting Combine. So Dallas probably had a good indication of what their needs would be when they decided to let Leary go. It's also important to remember Ron Leary's health issues. He went undrafted in 2012 because of a degenerative knee condition that most felt would shorten his career. Dallas may have felt like they'd already gotten more out of Leary than most had anticipated, and that it was time to stop rolling the dice. The financial implications of trying to keep Leary would have been difficult. Dallas was already thinking about having to sign Zack Martin to a long-term extension and then gave La'el Collins a two-year, $15 million extension through 2019. They needed to save some money somewhere and hoped left guard would be a spot where they could go cheap. Part of the plan was veteran Jonathan Cooper, a failed first-round pick who'd bounced around the league since 2013. Dallas had coveted Cooper as a rookie but couldn't take him as he went seventh overall in that draft. The Cowboys added Cooper late in 2016 to kick the tires and then kept him for 2017. The other option was Chaz Green, the 2015 third-round pick who'd been battling injuries for most of his short NFL career. Green had looked good last year as a backup tackle when Tyron Smith went out, but that was short-lived as Chaz also got hurt. The team wanted to give him a shot at guard to see if they could get a return on their third-round pick investment. The end result of having Collins move to right tackle and then Green being tried at left guard was a pedestrian running game. After averaging 5.1 yards-per-carry in 2016, Ezekiel Elliott's productivity dropped to just a 3.7 average in Weeks 1-5. This includes the abysmal eight yards on nine carries that he had in Denver. The Cowboys went 2-3 in these games to start their season in a hole. To be fair, the Cowboys didn't know back in March that their time with Ezekiel Elliott in 2017 would be precious. There was no anticipation of a lengthy suspension, if any, from Zeke's domestic violence investigation. However, in this hindsight discussion, the reality is that Dallas wasted their early time with Elliott in the lineup in part because of the offensive line transitions and growing pains. While the Denver game was a total blowout, the losses to the Rams and Packers were only by five and four points each. A fully functioning rushing attack may have tipped those games in Dallas favor, changing 2-3 to 4-1 and perhaps the current 6-6 to 8-4. Perhaps the biggest regret isn't that they let Ronald Leary go, but rather that they didn't commit to Jonathan Cooper sooner. The switch from Chaz Green to Cooper in Week 4 started to turn things around for the run game. After the bye week, things really took off and the Cowboys went on a three-game win streak before Elliott's suspension finally took hold. Had Cooper been the starter from the beginning of training camp, the chemistry the team found in Weeks 7-9 might've been there all along. 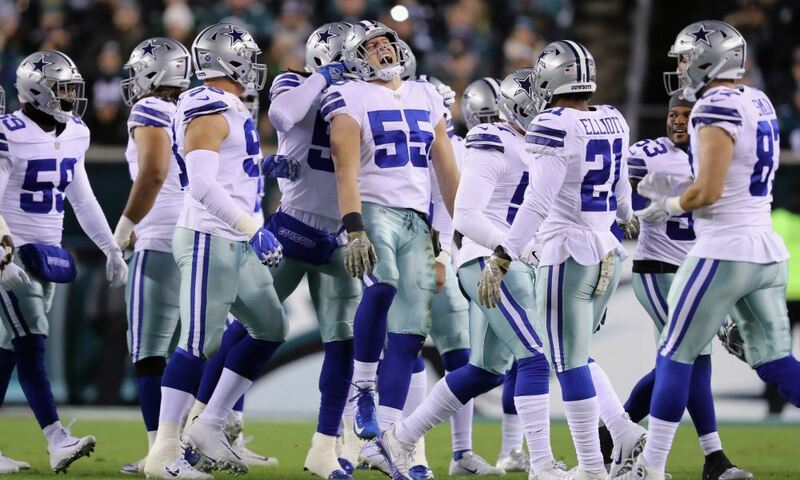 Trying to get something out of a younger Chaz Green is understandable, but that experiment's failure may have been directly responsible for two of the Cowboys' six losses so far this year. 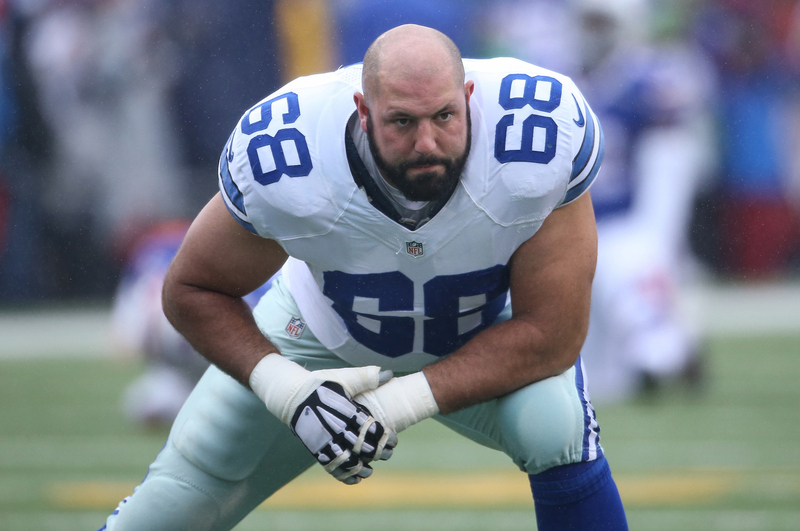 Ultimately, I don't blame Dallas for not re-signing Ronald Leary. The financial side just didn't make sense given the considerable cost of keeping just Tyron Smith, Travis Frederick, and Zack Martin together. Once they were committed to La'el Collins as well, there just was no way to pay another handsome salary to the fifth guy. I don't even blame them for hoping for something out of Chaz Green. Third-round picks are no small thing and you hate to see one wasted. But now that Green couldn't catch on as a starting guard or even as the backup swing tackle in his third year, it's looking like a busted pick. These hindsight arguments should be more about the merits of the strategy or reasoning behind a decision rather than the result. I think the Cowboys made the right call with not spending to keep Leary, but then overdid it by also moving La'el Collins to tackle. That created two positions of uncertainty and change; 40% of the offensive line transitioning instead of just 20%. Unfortunately, they may not have had much choice. If you look at the free agent offensive tackles from the offseason, those of any real value signed deals for even more money than Ronald Leary got from Denver. If finances are why Leary had to go, then Dallas wasn't going to be able to pay for Doug Free's replacement in free agency. Despite free agency and draft picks, sometimes there just aren't the right pegs for every hole on your team. The Cowboys were in a bad spot with their available cap space, current assets, and Free's retirement. I think they did they best they could with the resources available, but unfortunately some of those moves just didn't go as well as they'd hoped. 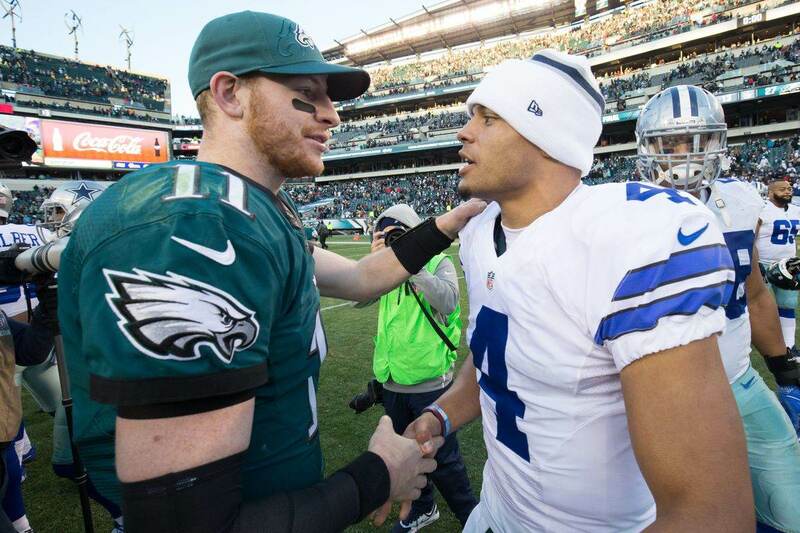 Cowboys Playoff Hopes Are Alive, But Are They Really Worthy?